Overview: The glamorous Persian Queen acts as a doubling Wild symbol, in amongst an exotic collection of temples, chariots and sphinxes. 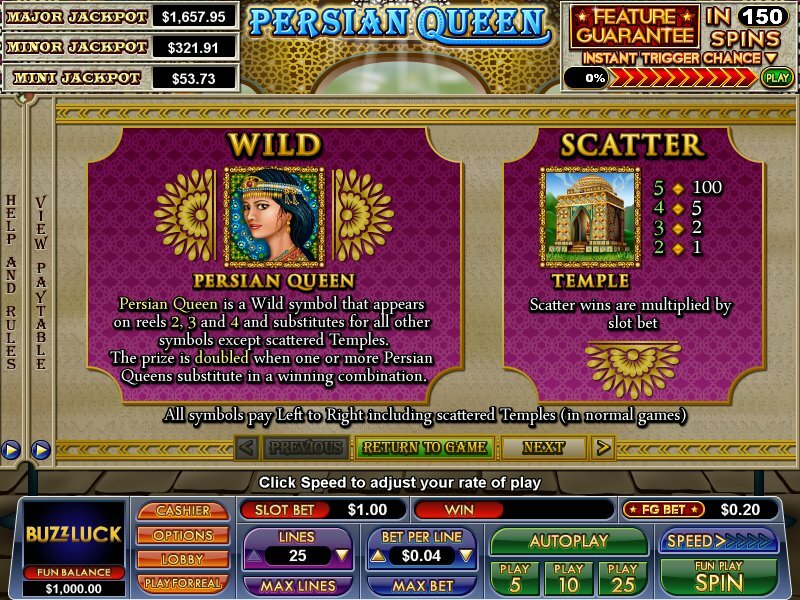 Persian Queen has 2 fantastic features, including the Temple Feature which awards 10 free games with prizes doubled in the first 5 games and prizes tripled in the second 5 games. Any retrigger will give an additional 10 games, with all prizes quadrupled! 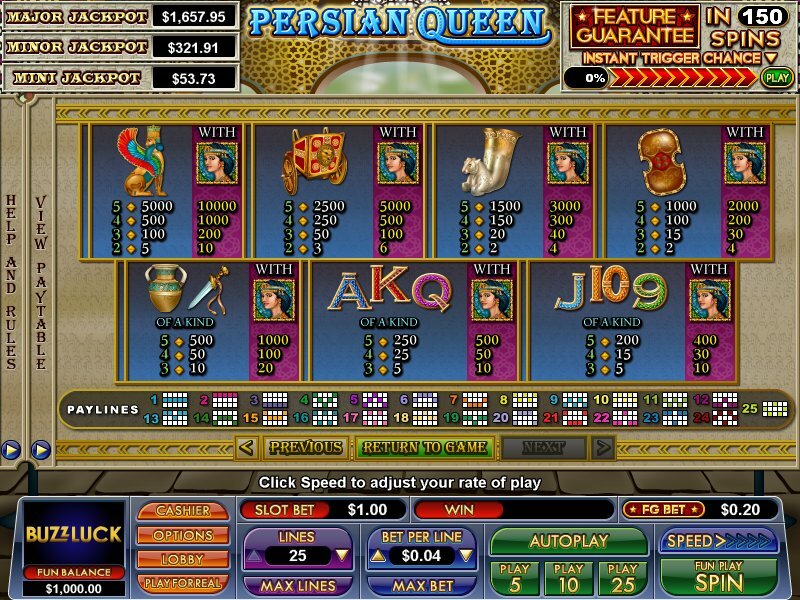 Persian Queen also features the patented Feature Guarantee system, which ensures the Persian Queen Feature every 150 spins if you don't trigger one of the two features randomly. 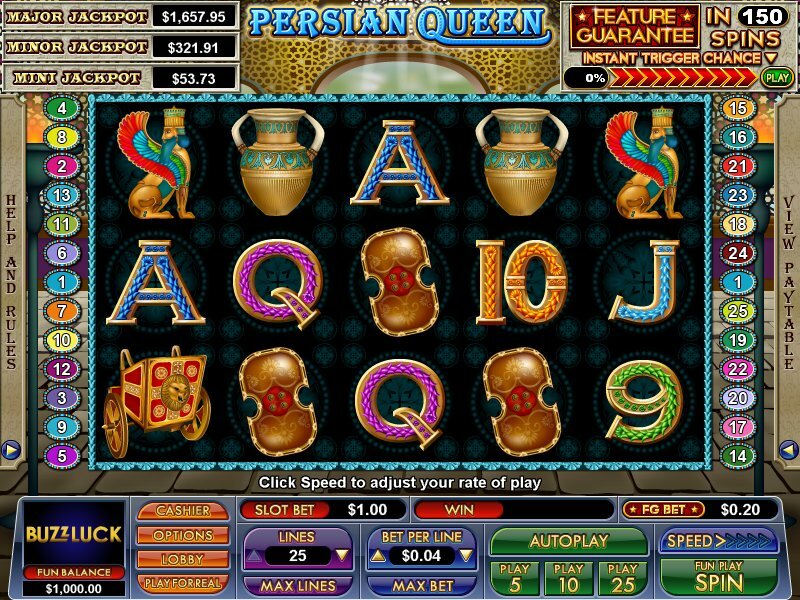 Similar Slots: If you like Persian Queen, you might like these other slot machines from NuWorks: Eye of Ra, Silk Caravan, Stone Age Cash, Win Big!.